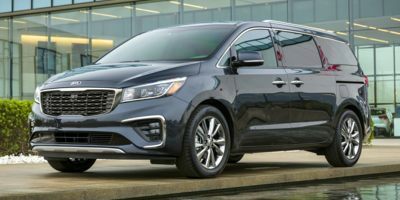 Closed-end lease based on new 2019 Sedona (Model #64222) subject to credit approval, dealer participation, and vehicle availability. Offer shown based on $3,499 due at lease signing including $319 first monthly payment, $2,530 capitalized cost reduction, $650 acquisition fee, plus tax, title, license and registration fees, dealer conveyance fee, processing fee or optional service fee and any emission testing charge. No security deposit required. Offer shown total lease payments are $14,664. Actual payments may vary. Purchase option at lease-end for offer shown of residual value of $16,764.30. Lessee is responsible for insurance, maintenance, repairs, $.20 per mile over 12,000 miles/year, excess wear, and a $400 termination fee*. Lease offer applies to Sedona (MSRP $31,045, includes freight, and excludes taxes, title, license, additional options and retailer charges). Actual prices set by dealer.Must take delivery from retail stock by 4/30/2019. Dealer contribution may vary and could affect actual lease payment. See dealer for warranty and lease details or go to kia.com. *Termination fee for all states except CO, IN, IA, KS, ME, OK, SC, WI, WV & WY. *WI termination fee: The amount of the base monthly lease payment or $400, whichever is less. *CO, IA, KS, ME, OK, WV & WY termination fee: The amount of two times the base monthly lease payment or $400, whichever is less. *IN & SC termination fee: The amount of three times the base monthly lease payment or $400, whichever is less.